Communicating a cause. 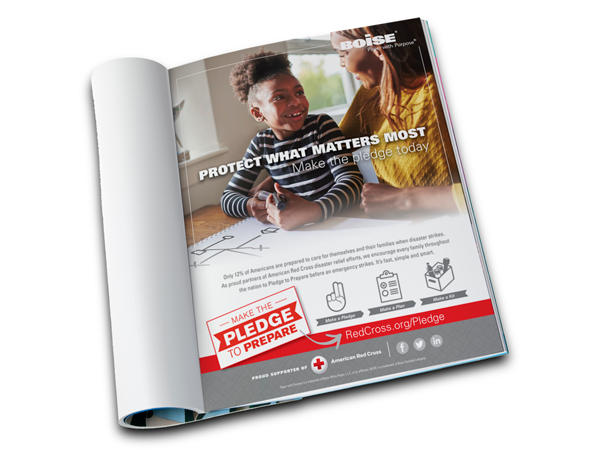 As a proud supporter of the American Red Cross, Boise Paper is committed to helping the organization spread the word about the importance of emergency preparedness for families and individuals throughout the nation. Evoke focused on making an emotional connection with the image used in this ad, and utilized illustrations to show the simplicity of the preparedness initiative.